A big investment this year was taking the highly regarded Co-Active Coach Training Program. I felt it was time to bring in professional coaching skills to my work as an Agile coach and consultant. The training has expanded my coaching range, allowing me to go farther, more powerfully, in service to my clients. I’ve also started coaching one-on-one, with a focus on magnifying the efforts of other change agents. Community building is a core passion of mine. I love applying the skills and knowledge gained in the workplace to the wider world of citizen engagement. 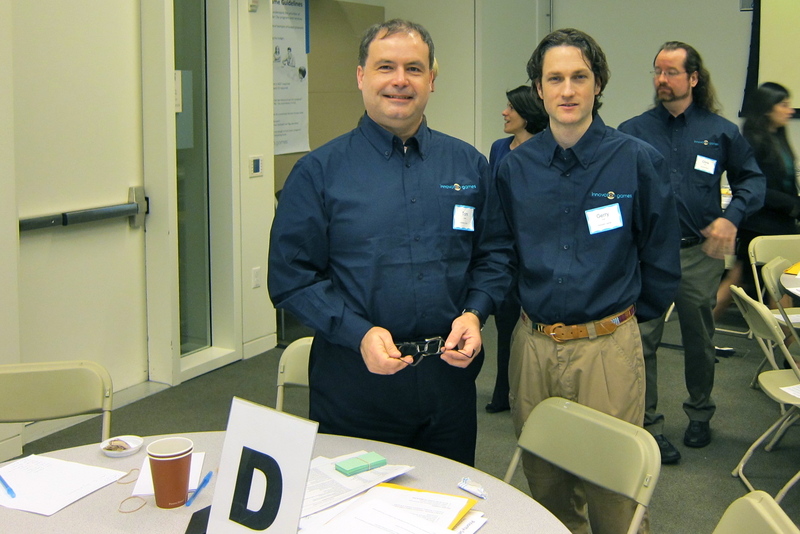 Last January, I participated as a facilitator at the San Jose Citizen Budget Games, a truly unique event where citizens worked collaboratively to purchase items for the upcoming budget. The results were so compelling that in 2012 the city of San Jose plans to invite thousands to play in person and online. If politics were always this fun and engaging, we’d all be taking part. At a local level, I had the privilege of working with the Sault Ste. Marie Council in a kickstart session designed to provide a foundation for working effectively together. I also designed and facilitated a Youth Forum for the Sault Youth Association using Innovation Games® to deliver compelling results for their strategic plan. Ignite Sault continues to bring a diverse crowd together, with #4 (recap) and #5 (recap) near sell outs to hear local citizens share their ideas and passions in 5 minute talks. My latest and most ambitious project is getting a collaborative workspace off the ground. Modelled on the highly successful Gangplank in Chandler, Arizona, Gangplank Sault aims to be THE go to place for creative, innovative work, where entrepreneurial types work together to build a new economic engine in Sault Ste. Marie. Through a series of events including Agility Cafes and Tuesday coworking meetups, momentum is building towards an official launch in early 2012. During those Agility Cafes, the same topics kept coming up. People were feeling stressed, overwhelmed, struggling to stay on top of things. 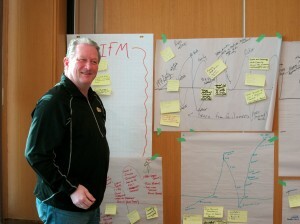 That led me to co-create a workshop focused on personal performance, centred on the book Personal Kanban. The pilot workshop was a huge success. With demand high, plans are in the works to do a series of workshops with Jim Benson, friend and co-author. I’m really excited about impacting people’s lives through this simple yet profound way of working. Another experiment, based on feedback I’ve received is the first of a series of online courses on productivity tools. I believe I’ve found a sweet spot of tools to help any consultant / solopreneur. The first one is on the dreaded expense filing, with plans for managing contacts, e-newsletters, social media and more. Another stretch for me came in working with large enterprises for the first time. Through partner consulting agreements with renowned Agile companies Enthiosys and Rally, I’ve had the opportunity to engage with the likes of Rackspace and Bank of America. One highlight for me was learning from Luke Hohmann himself how to build effective product road maps.Well, at least a starting point. Product management is a weak spot in the Agile landscape, one that I’m interested in addressing more. I’m grateful for a year filled with new beginnings, with foundations set for greater things to come. We all have inspiring stories to share. What were your satisfying moments of 2011? Please share them below in the comments or link to a post elsewhere. May 2012 be a year filled with hope, joy and passion for what you love to do. My kids and I prepared this little Christmas ditty for some holiday fun. Watch and enjoy!